Should we avoid creating tasks that simply can’t have a meaningful definition of “done”? I stumbled upon this dilemma a while ago. It is a logical question, mostly related to agile software development, but it is more than relevant for all sorts of teams. Especially those practicing Lean and Kanban in particular. In the following paragraphs, I’ll try to provide a precise answer and go through some key points related to the topic such as what is the definition of done in Lean, and how to develop one using a simple checklist. So without further ado, let’s dig into the topic. Should You Avoid Creating Tasks That Don’t Have a Meaningful Definition of Done? The problem is that too often people don’t bother asking themselves what’s the purpose of a work item. Even worse, when they can’t find a meaningful definition of done, they are afraid of asking their manager for one. In the context of a Lean organization, this is absolutely unacceptable. Creating and processing tasks just to keep yourself busy can seriously slow you down on the way toward continuous improvement. Although your workflow metrics will show that your team is getting things done, if their work brings no value to you nor your customer, it will be nothing more than unnecessary motion, which is a pure waste according to the Lean methodology. To put it in a theoretical manner, “Definition of done” is an agreed-upon evidence of completion of a process, activity or milestone. 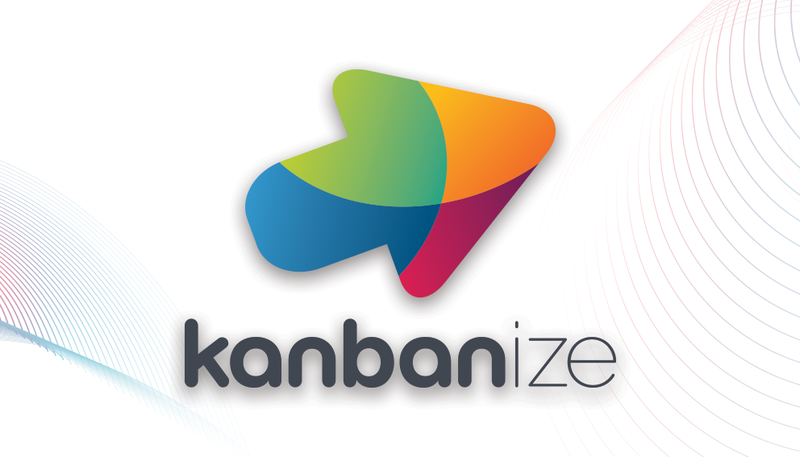 At Kanbanize, we’ve got another, a bit more conversational definition. If you can’t forget about a task when it reaches the “Done” column of your board, it is not done. For example, a Kanban card (a task visualization tool in Kanban) called “Link building” has no a meaningful definition of done and if you start it without a specific end goal except building some links to your website, you may never be done completely with the task. On the other hand, if you start a card called “Build 10 links to our homepage” then it’s a whole different story. You’ve got a clear task that can be finished and forgotten about. It is specific enough to see the value of investing the time to build these links (strengthen your website) and short enough to process it quickly. 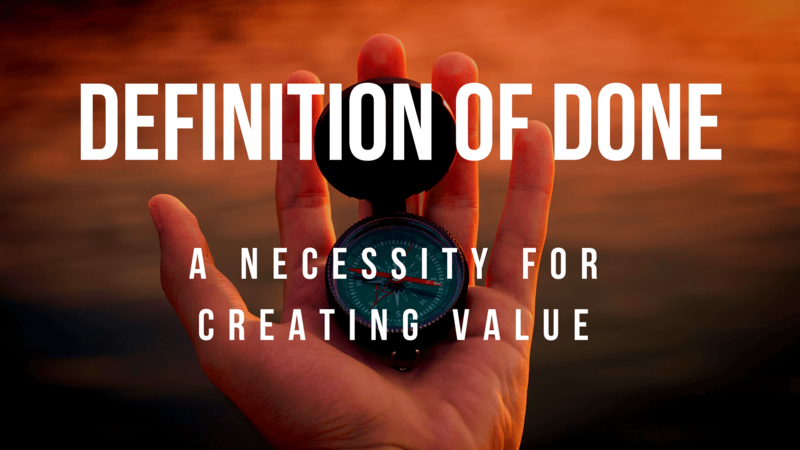 Here, it is important to point out that even if a task has a meaningful definition of Done, if it doesn’t bring value, you should think twice before starting it. Preferably everything you work on should benefit your client directly, otherwise, it is considered a waste. However, if the task brings value to your company, then it might be a “necessary waste” and you should process the assignment either way. 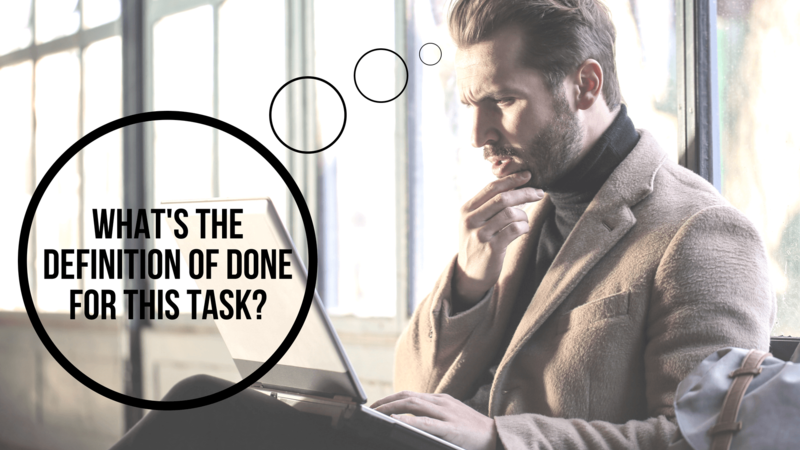 Even if you’ve got a clear idea about the definition of done for a task, you need to ensure that it is completed with all the necessary elements, so you can forget about it for real. A good way to do so is to create a checklist that you need to go through before moving a card into done. Depending on your industry and complexity of your workflow, it can be a simple one consisting of just a few points or a long line of requirements that need to be met before putting your work into done. How to Visualize Your Definition of Done? A really simple way to ensure that when you move tasks into “Done” there’s really nothing left to do about the tasks inside is to visualize your “done” checklist. This is really easy if you use a Kanban board to track your work. You can either include the agreed-upon conditions as subtasks to the Kanban cards visualizing your tasks or include them as process steps on your board. To do so, you just need to add a few columns to the “In Progress” section representing items on the checklist. 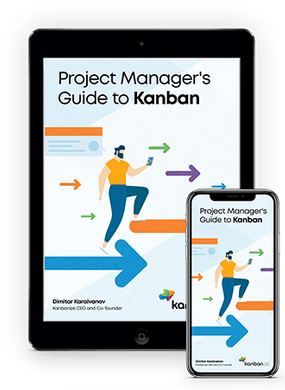 Following the above-listed marketing checklist, we can easily expand our Kanban board to fit all 5 items as process steps. As a result, when you start a new article, landing page, case study or whatever content you need to prepare, it will have to pass through every point of your checklist before “Done”. To make your definition of done even more explicit, you should add further policies about what is expected to happen at each point of your checklist. To do so, you can just add a few sentences below each column with the necessary information. When developing a definition of done, you should have in mind the type of work it relates to. You must have a checklist of conditions that must be present for an assignment to be considered finished. If there isn’t a meaningful definition of done, you’d better avoid starting a task. Otherwise, you risk generating waste by investing time and resources into something that might not be helpful to anyone.